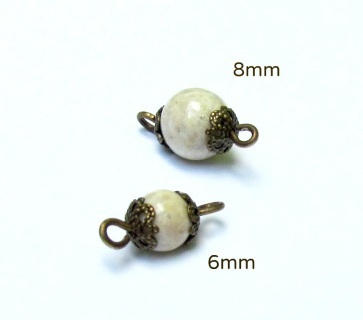 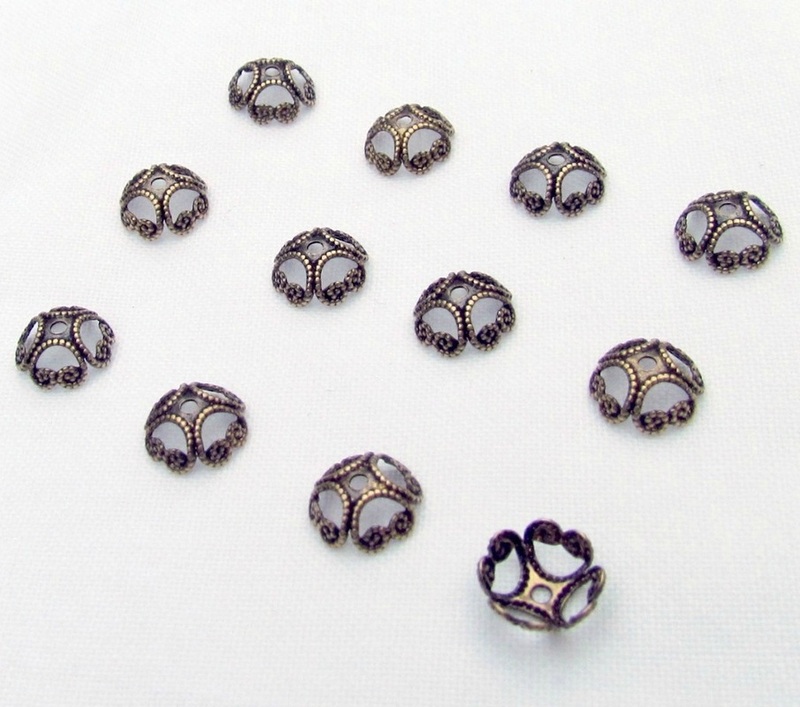 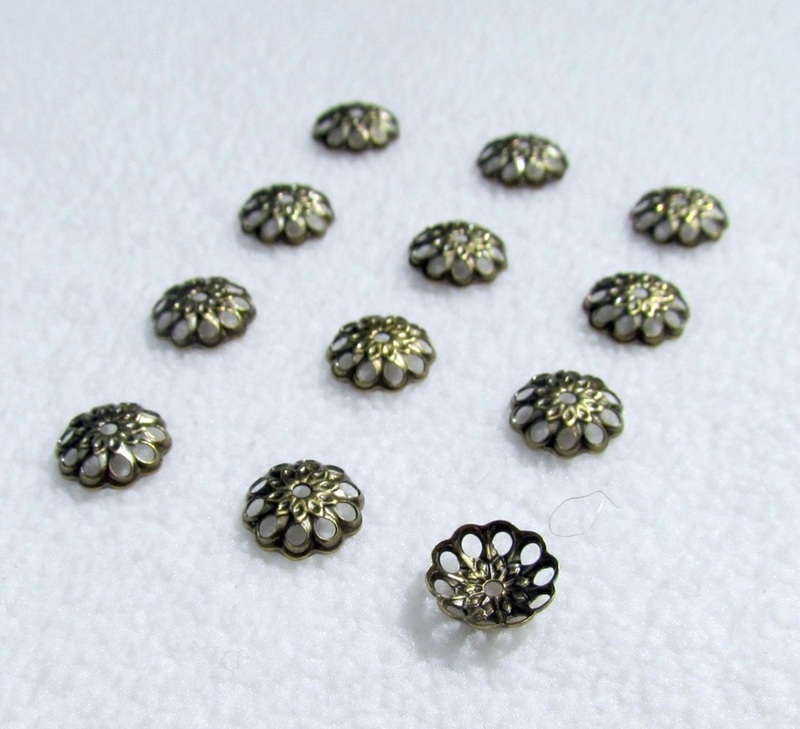 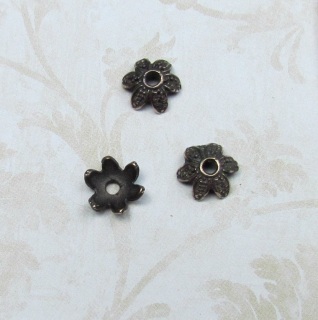 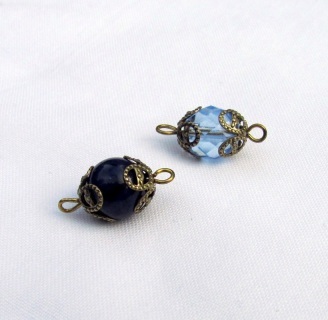 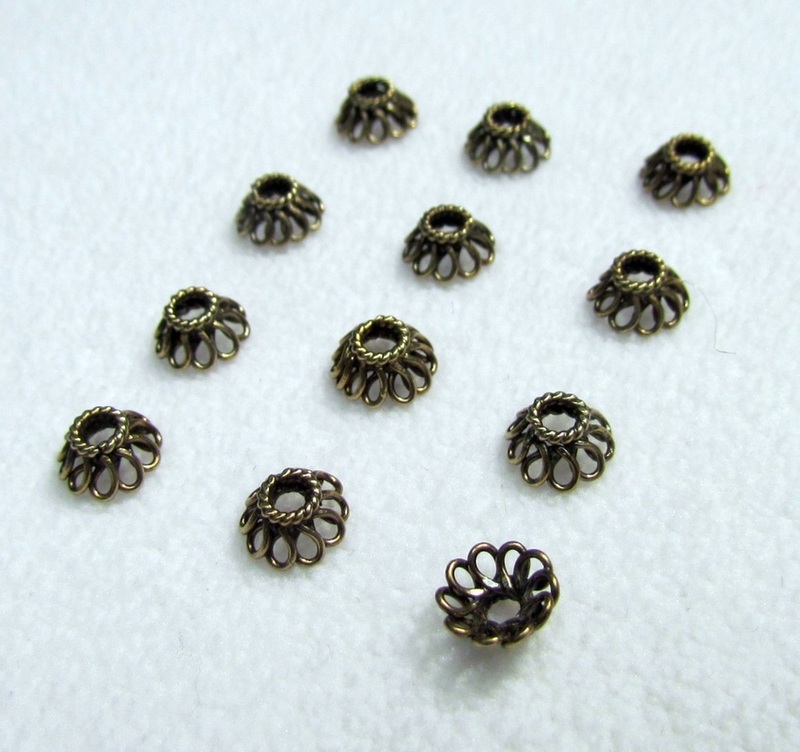 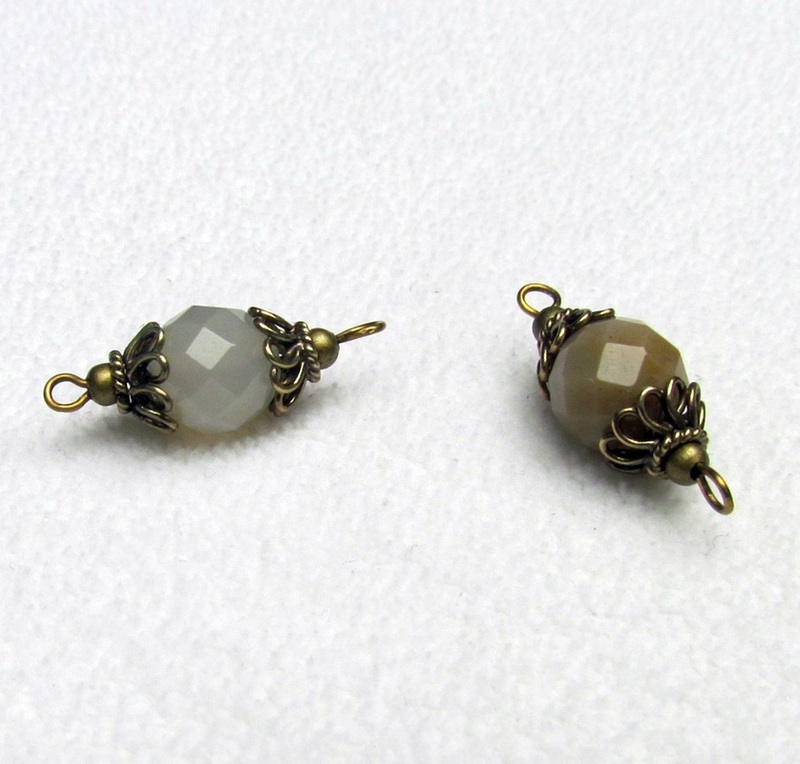 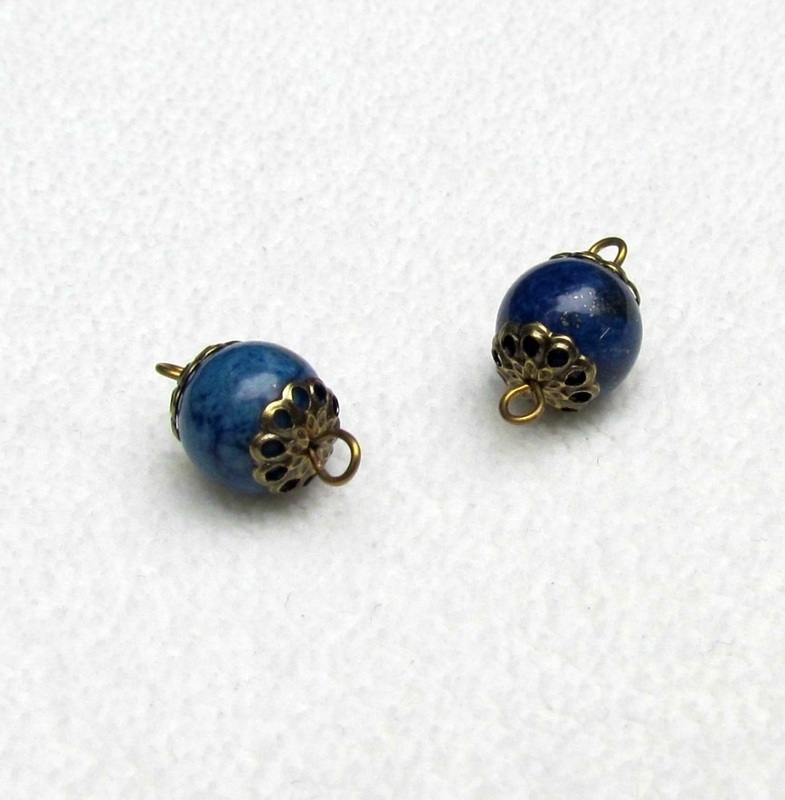 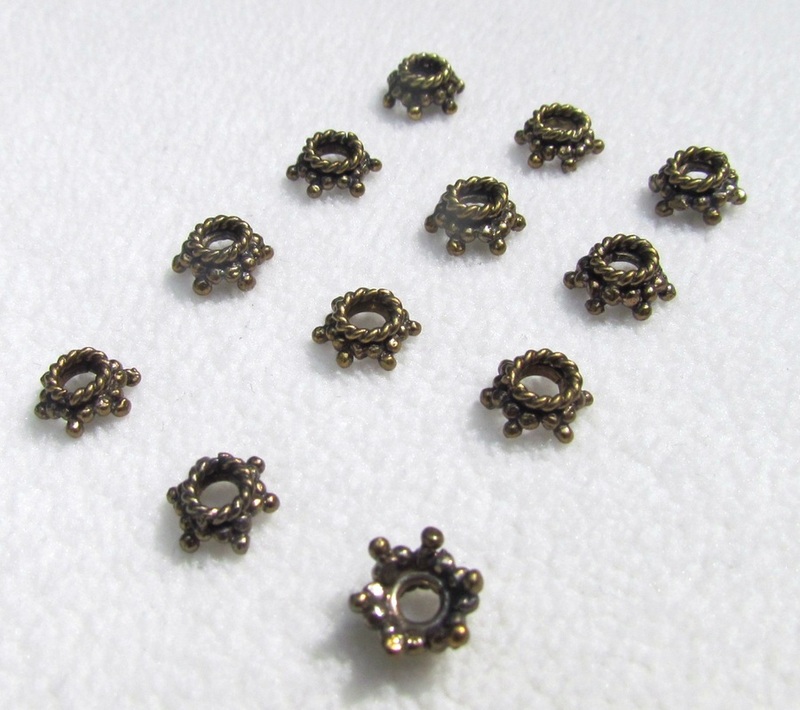 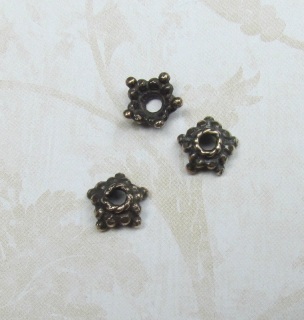 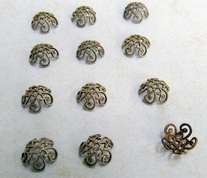 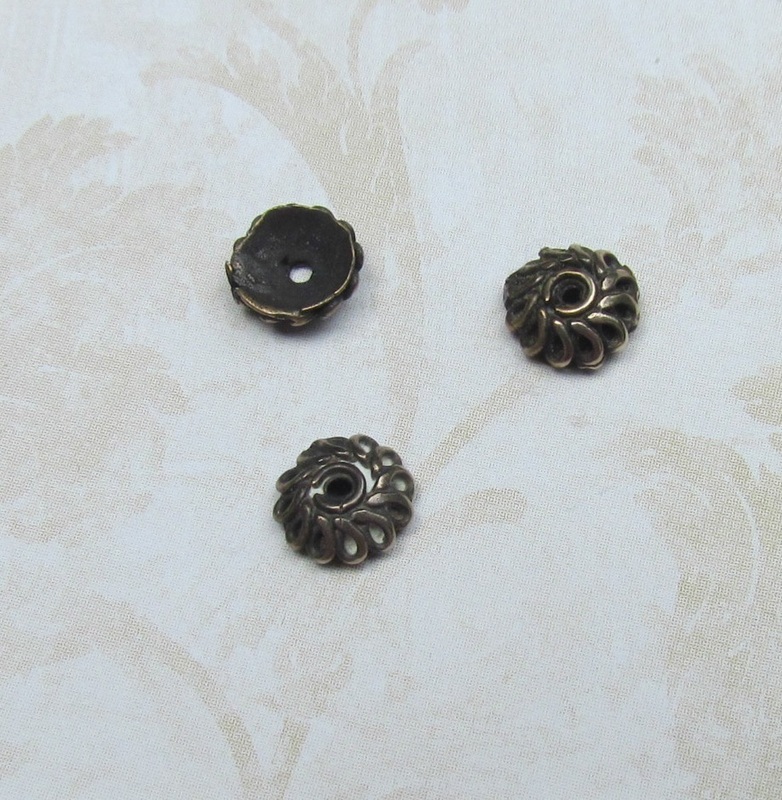 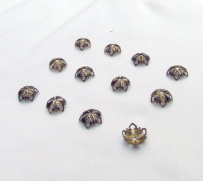 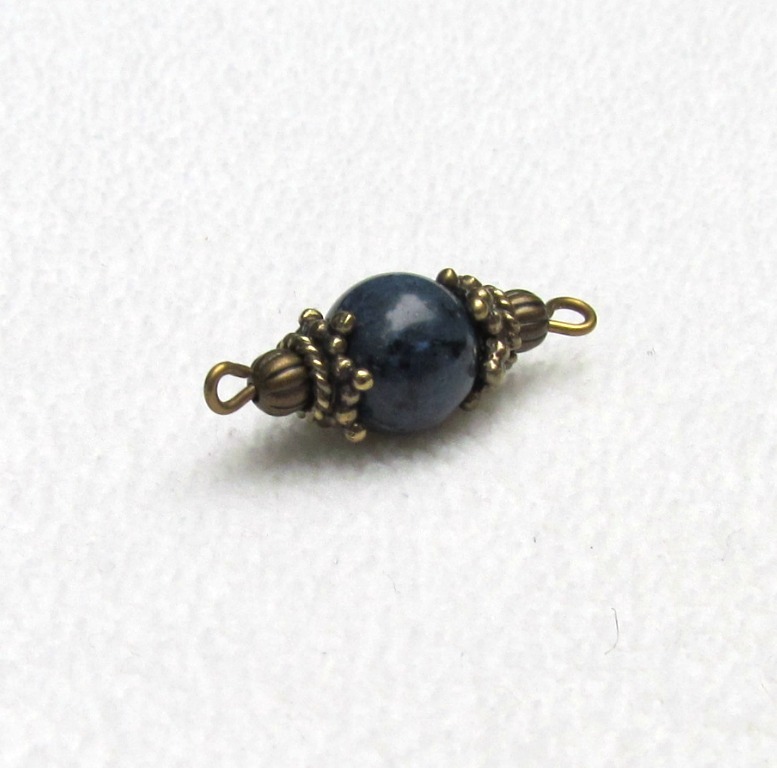 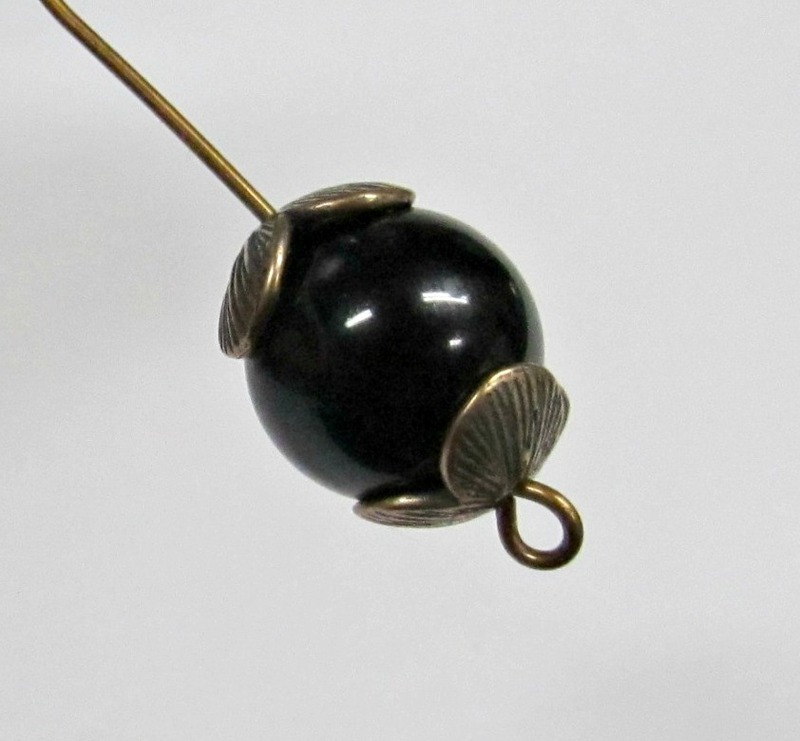 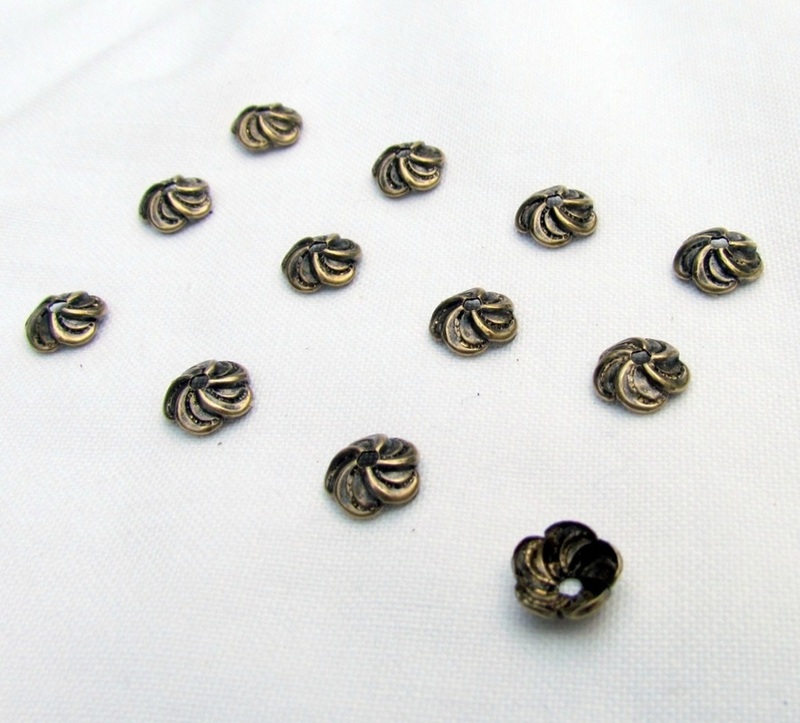 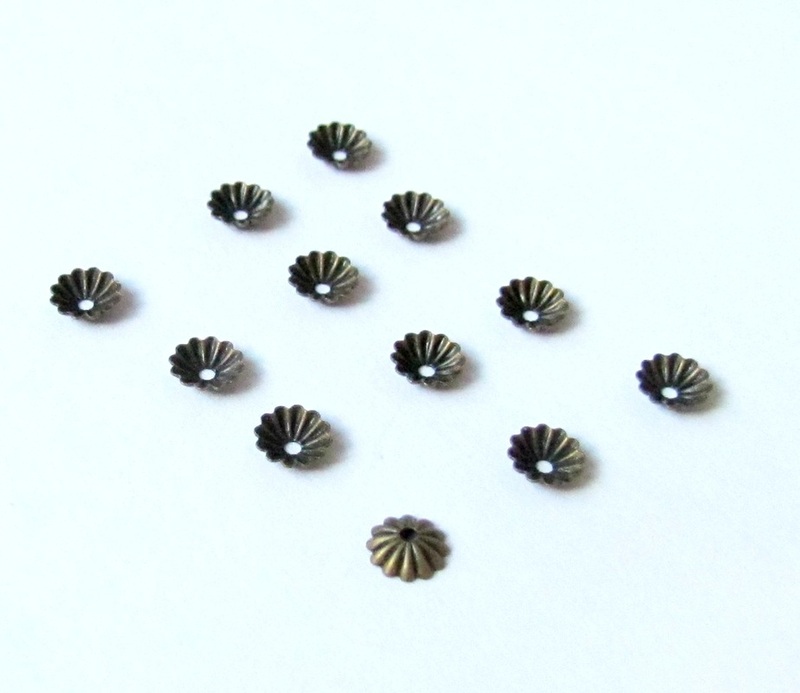 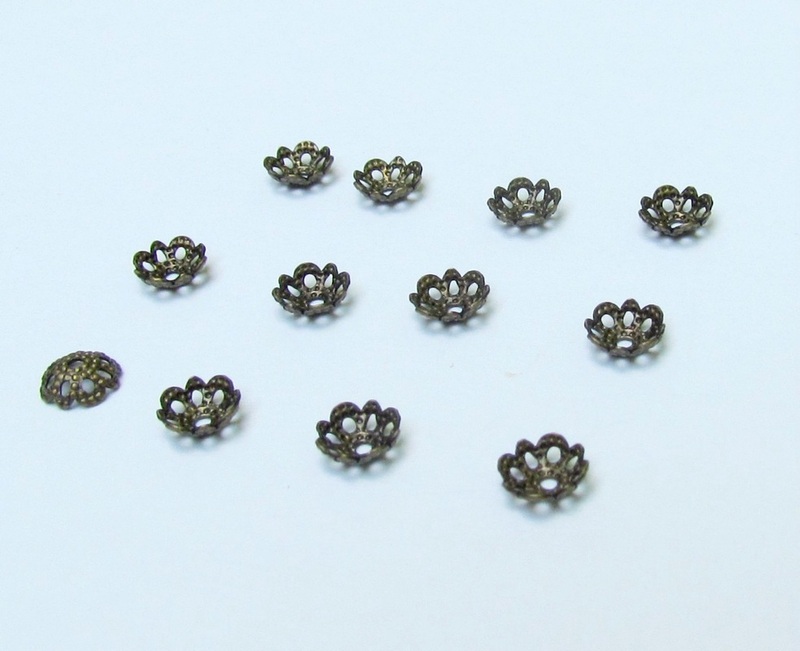 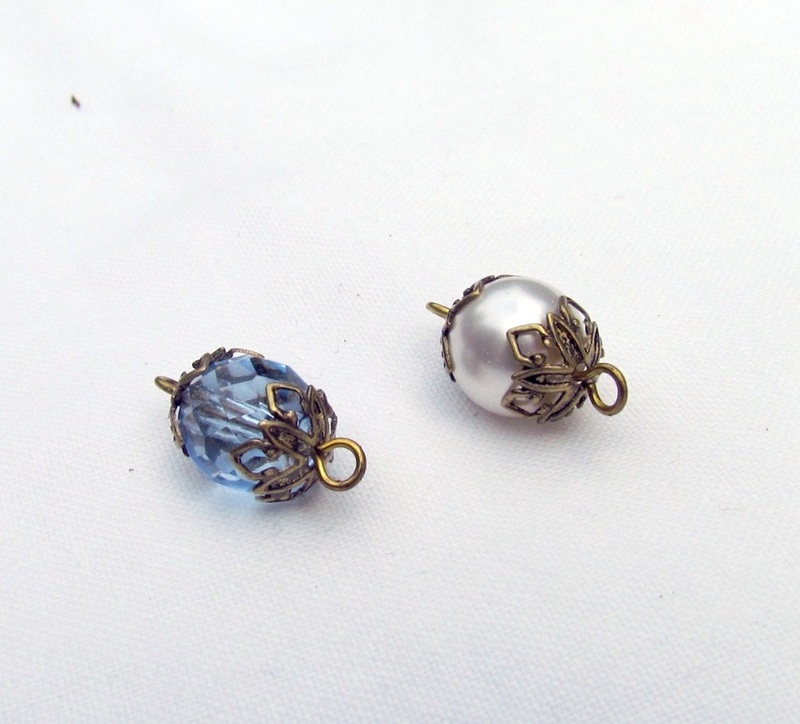 These bead caps are solid bronze and professionally oxidized and finished here in the USA. 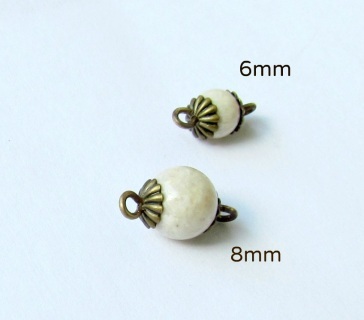 (100% Lead free) These bead caps make a quality rosary because they won't blacken with oxidation like unfinished brass. 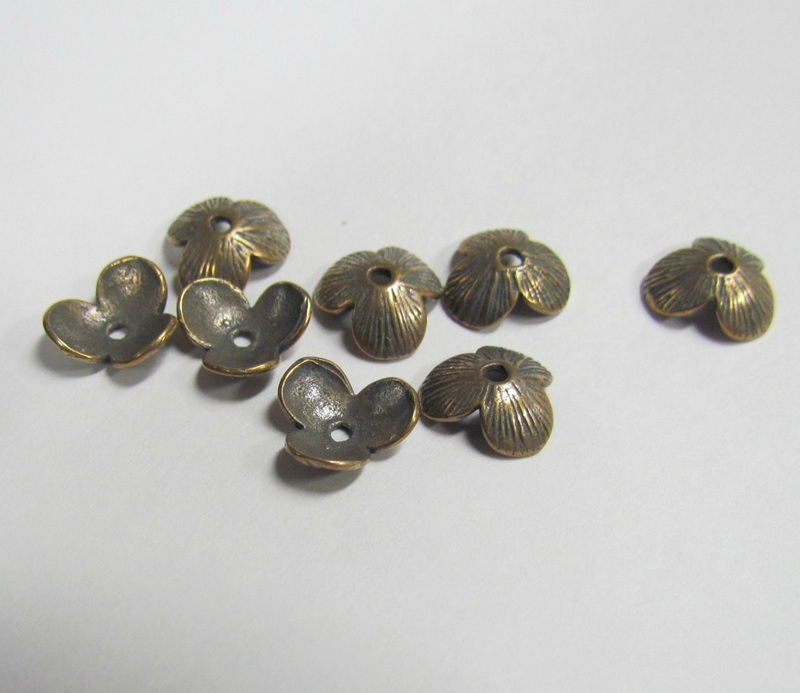 Since bead caps are hard to polish, you want a quality finished bead cap that will maintain the perfect balance of oxidation despite the constant rubbing that is characteristic of a well-used rosary. 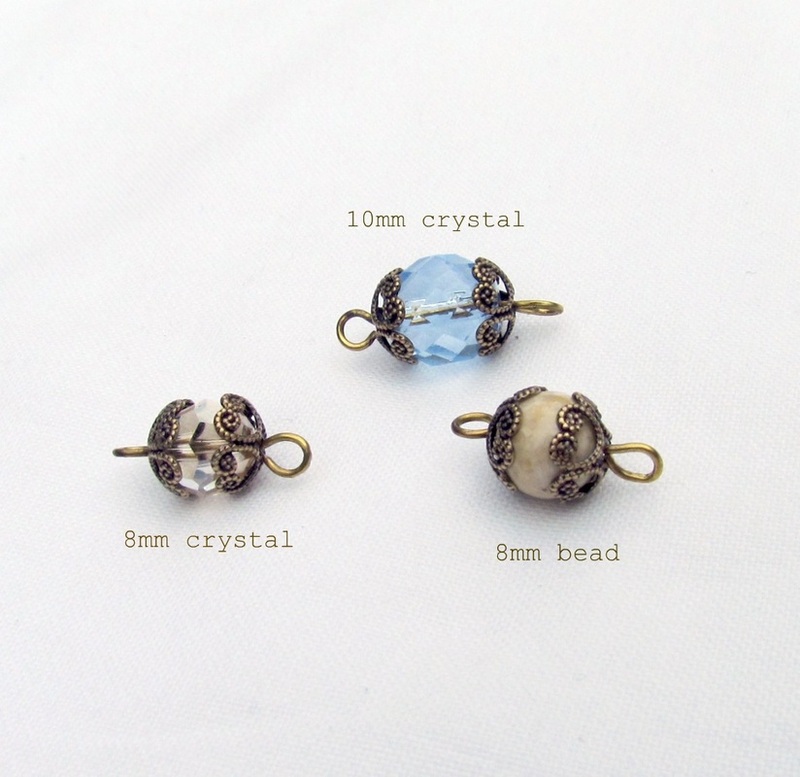 It fits a 8mm faceted Crystal bead, or a 6mm round bead. 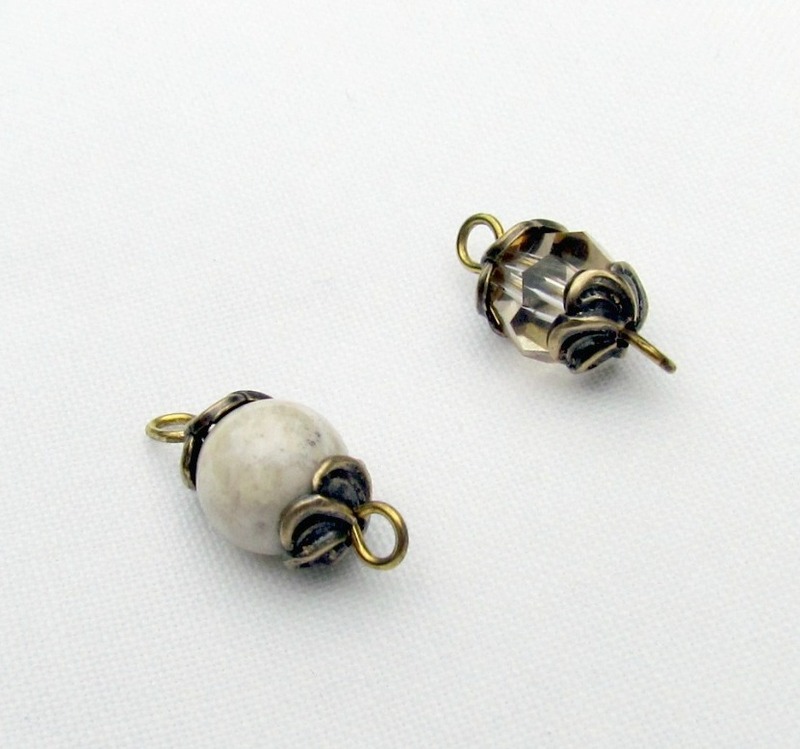 Brass bead caps with an antique patina below.